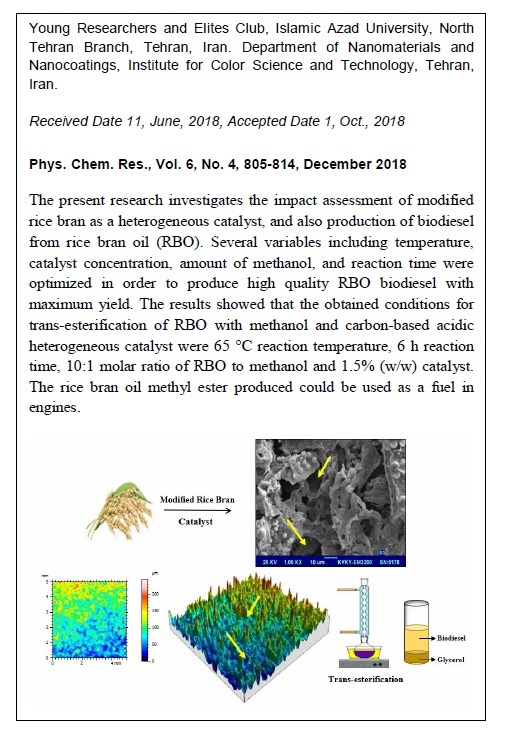 The present research investigated the impact assessment of modified rice bran as a heterogeneous catalyst and production of biodiesel from rice bran oil (RBO). Several variables including temperature, catalyst concentration, amount of methanol and reaction time were optimized in order to produce high quality RBO biodiesel with maximum yield. 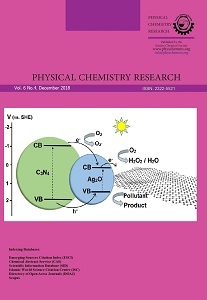 The results showed that obtained conditions for trans-esterification of RBO with methanol and carbon-based acidic heterogeneous catalyst were 65℃ reaction temperature, 6h reaction time, 10:1 molar ratio of RBO to methanol and 1.5%(w/w) catalyst. The produced rice bran oil methyl ester was suitable to be used as a fuel in engines. Considering the availability and renewability, methyl ester rice bran can be easily produced in large quantities as a sustainable and reliable energy resource for multi-functional applications.